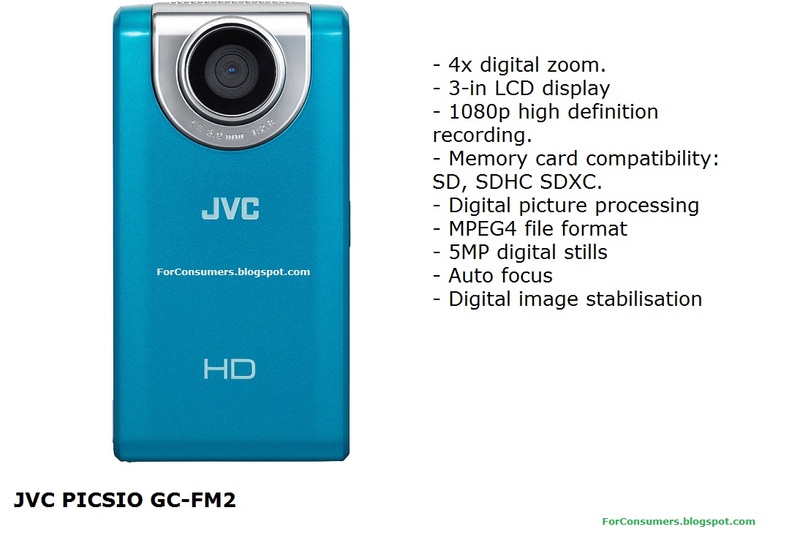 JVC PICSIO GC-FM2 review - today at For consumers blog we are going to take a closer look at one of the very compact and cheap Full HD 1080p camcorders offered for a very good price. - 1080p high definition recording. - Memory card compatibility: SD, SDHC SDXC. 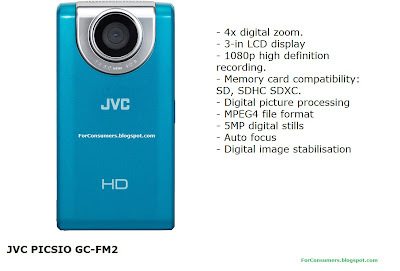 JVC PICSIO GC-FM2 is a very small and lightweight pocket camcorder capable of shooting high quality 1080p HD videos. It weighs just 113g and will fit easily in your pocket. The recording format is MPEG4. JVC PICSIO GC-FM2 doesn't have any optical zoom but it offers 4x digital zoom. The 3-inch touch LCD screen on the rear of the camcorder makes it easy to playback the videos recorded. JVC PICSIO GC-FM2 can also make 5MP digital stills which come out nice and clear (not perfect though). 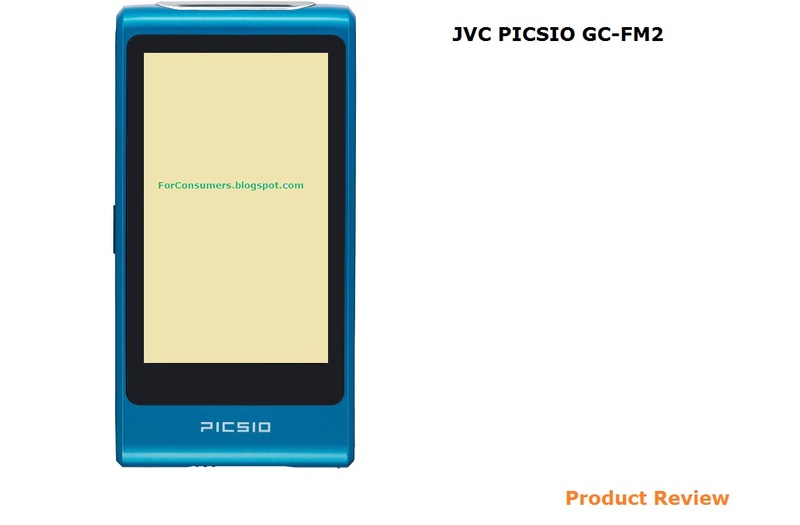 JVC PICSIO GC-FM2 will store your videos on SD, SDHC or SDXC memory card. The available connection options include HDMI and AV output. 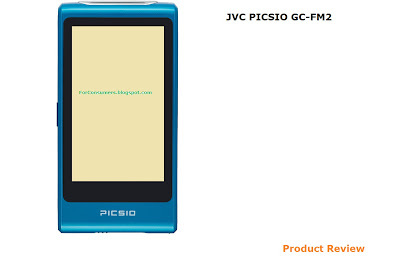 JVC PICSIO GC-FM2 camcorder comes with built-in Li-Ion battery which will not hold charge for too long but it also doesn't take long before it is fully recharged. Product Dimensions: 2-1/8" x 4-1/16" x 7/8"
JVC PICSIO GC-FM2 comes in three different color choices - black, blue or metallic green. The price for this small and yet capable device varies around £40-50 ($90).